Establishing a business can chew up many valuable work hours. On average in Spain it takes 13 days and 7 separate activities to establish a company (Doing Business), on a par with the main developed economies. However, Madrid has successfully reduced the level of red tape in the process by replacing many permission requests with affidavits. The CIRCE centres provide advice for entrepreneurs interested in establishing a company and also provides tools to complete the procedures for the set-up online, such as the time-saving Documento Unico Electrónico or DUE (single electronic document). Other than limited companies, all other entities can be created online. 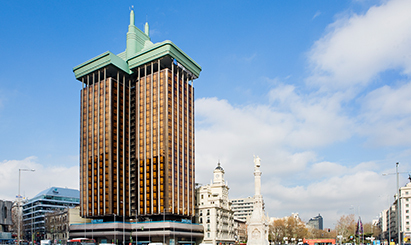 The administrative procedures required to begin operations in Madrid depend on the type of business created. The main activities include: obtaining a tax identification number (NIF); as well as a company name certificate; creating a new bank account and depositing the initial capital; filling in the Documento Único Electrónico (single electronic document); and executing the necessary deeds before a notary official. After setting up the company, the usual steps are to pay the fee for urban services and to create an activity affidavit. In Madrid this process has been simplified by the Documento Único Electrónico (single electronic document) where it is now possible to undertake various procedures in once place. A representative office provides a form of soft landing to businesses enabling them to do all the necessary administrative preparations before they start operating in Spain. This avoids the costs of creating a permanent establishment and they can progress at their own pace. The representative office is not an independent company nor a legal entity.